Do you own a house that has been a burden for you? Let us help you sell it FAST! We buy houses in Houston, Texas! We Buy Houses In Houston, Texas At Any Price. No Contingencies. Check Out How Our Process Works. We’re Ready To Give You A Fair Offer For Your House. We’re ready to give you a fair all-cash offer If you’d like to sell your troubled house. Let us help you reduce some of the stress you may have. We can buy your house now, regardless of condition. Avoiding foreclosure? Are you facing divorce? Maybe you are moving and need some cash fast? Upside down on your mortgage or have unwanted liens that have been building up over time? It doesn’t matter whether you live in it, you’re renting it out, it’s vacant, or not even habitable. We would like to help you if you have inherited an unwanted property, or maybe you own a vacant house? Are behind on payments? We can help. Do you need to downsize due to kids or grandchildren finally leaving home? We can even help if you have unwanted liens even if the house needs tons of repairs that you can’t pay for! We even take fire damage or beat up houses from tenants who just didn’t care about your property. If you really are having a huge problem with the property you have and need to sell it fasted than the norm, we’d like to make you a fair cash offer and close on it when you’re ready to sell. 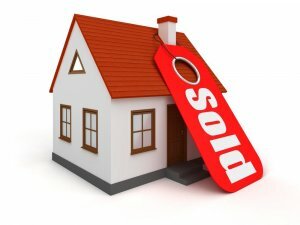 Do You Have A House In Houston, Texas And Need To Sell It Fast? you don’t need to repair anything that is damaged. We will fix. We prefer you don’t do anything! stop wasting time with an agent who is telling you you’ll need to spend thousands to get it sold. their is too much paper work. Let us handle it for you! We can know very quickly if we will be able to help you. We buy cash so their is also no need to wait months for financing! We’re ready to buy right now! Selling your house traditionally can add unwanted stress, the closing can take months, and the agent fees and closing costs will cost you thousands! So basically, to make it simple for you, it doesn’t matter what condition your house is in. The situation you may be facing will not matter either or the time frame in which you need to sell! We really do want to make the process of selling your house super simple, that is the way it should be. No more stress for you. We will do all this while still paying a fast, fair, and honest price for your house.